The kids only have a couple weeks left of school and we are getting ready for summer fun! 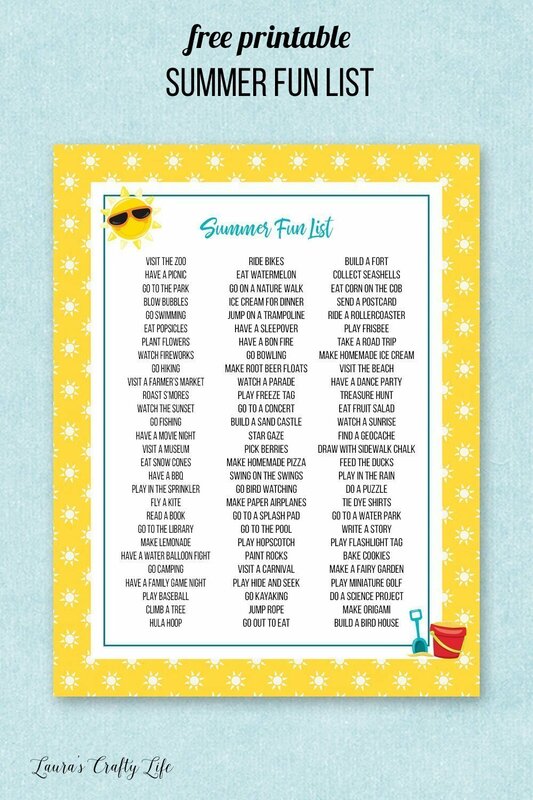 In the past, I have shared ideas for a summer bucket list and a summer checklist to do with the kids and the family over the summer. This year, I rounded up even more ideas for things to do over the summer with your family. A few summers ago, I saw a saying somewhere online saying you only have eighteen summers with your kids before they are grown. My oldest is 11 which means I only have seven more summers left with him. I want to make the most of our summers together, while also having time to relax and take a break from the school year. Some of these ideas are free or inexpensive. Others ideas on the list cost money. You can pick and choose which ideas work best for your family. This is also a great list for coming up with ideas when the kids come to you and tell you they are bored. There are many ideas for things you can do at home with supplies you probably already have on hand. What are your favorite things to do with your family in the summertime?